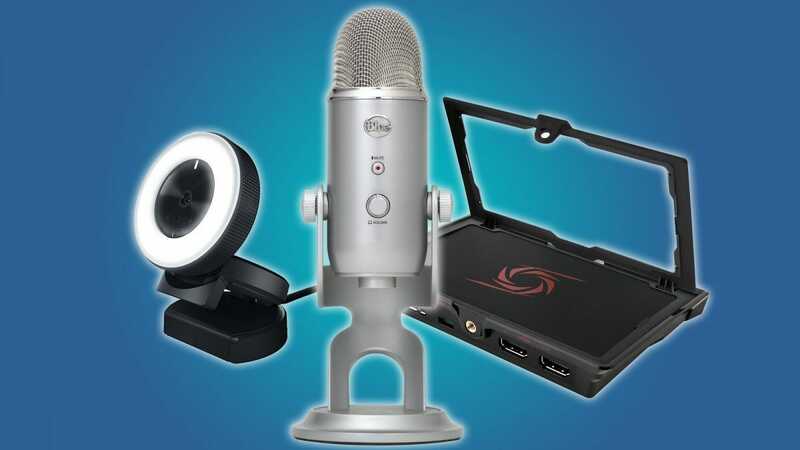 Game streamers need a quality microphone at the very least, and a good HD-capable webcam if they want to do video. You’ll also want a mic stand, since using a sensitive microphone on the same desktop surface as your mouse and keyboard is not a good idea. If your recording environment is less than ideal, you’ll also want some sound absorption and maybe a good light so you can be seen better. And finally, if you’re going to record video on a game console, you’ll need a video capture device. 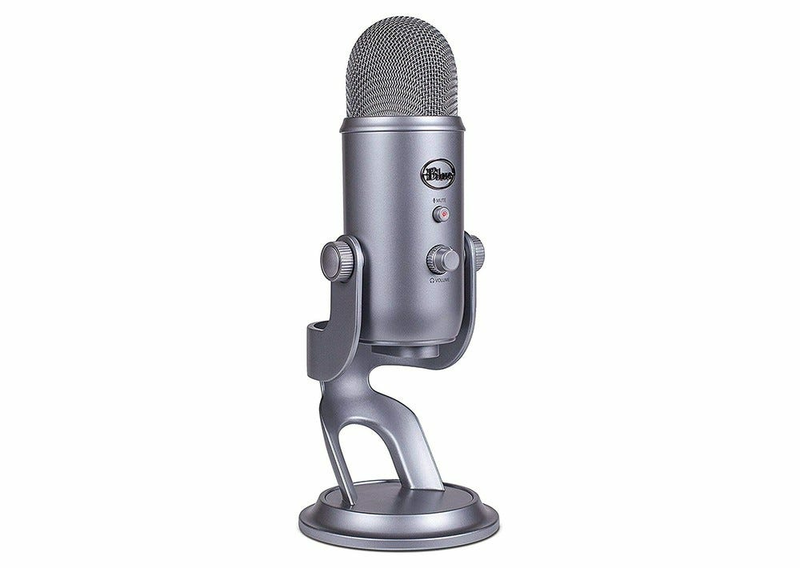 Blue’s Yeti is the gold standard of pro-sumer level microphones for PC recording. The design is a little old now, but it’s proven to be amazingly dependable and high-quality. There’s no need for any fancy inputs in order to start using it, just plug the USB cable in and you’re ready to start recording. You don’t need any extra software, either, which is why we’re recommending the original model Yeti over the newer and smaller Yeti Nano: the former comes with a built-in gain adjustment and two extra recording modes accessible via a dial on the rear. You can listen to PC audio output via headphone input directly on the mic, which is handy if you’d like to use more conventional speakers when you’re not recording. Oh, and it comes in several colors, which should be a nice bonus if you’re trying to match your on-screen setup. 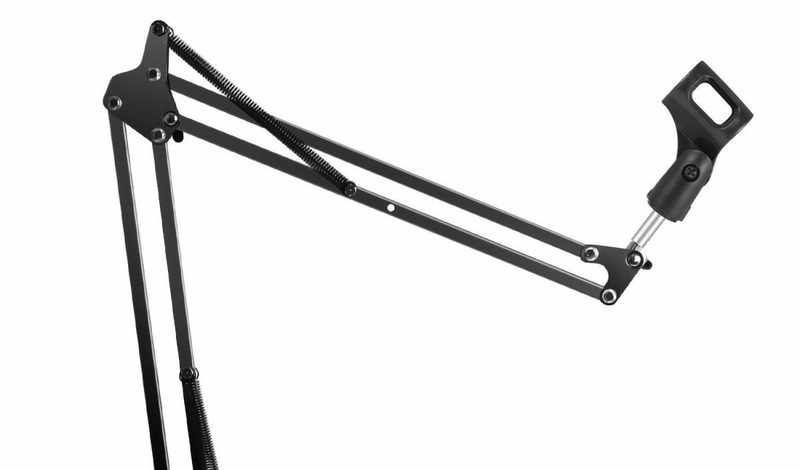 The Yeti is a big, beefy microphone, and while it comes with its own dedicated stand that’s very serviceable, we recommend getting a boom-style arm stand since you’ll probably be moving a lot of things around on your desk while you’re streaming your game. This inexpensive model from Innogear will screw directly into the standard mount on the underside of the Yeti, and attach to any table or desk up to two inches thick. The double-spring arm can be adjusted for tension or weight. In the future you may want to upgrade to something more heavy-duty, but this inexpensive option is excellent for beginners. If you’re looking for something specific to game streaming, then we recommend going with Razer’s dedicated Kiyo webcam over more popular Logitech options. At $100 it’s a bit above average for a webcam, but you’ll be thankful for some of its streaming-focused features. The most obvious is a built-in ring light, which will highlight your face and shoulders for good visibility while you’re streaming. 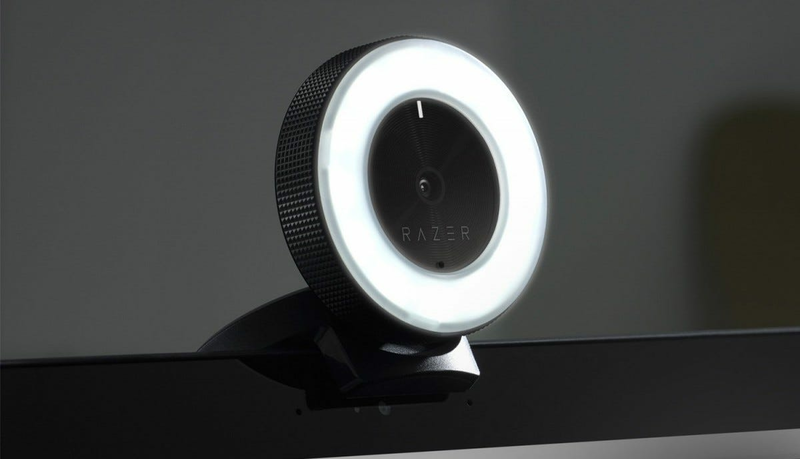 The Razer software can adjust the light intensity for the ideal setting for your room setup and skin tone. In addition, the Kiyo can take out the background of your room and overlay just your head and body onto your stream output—a much more appealing option if you’d like as little as possible covering your stream. While the webcam only records at 1080p, not 4K like some more expensive models, it outputs at 60 frames per second, which will look much nicer on a speed 60FPS game stream matching your console or PC’s framerate. It’s equally at home on a full-sized monitor or a gaming laptop screen. You’ll want a few other small tools if you’re looking to maximize the quality of your audio recording. 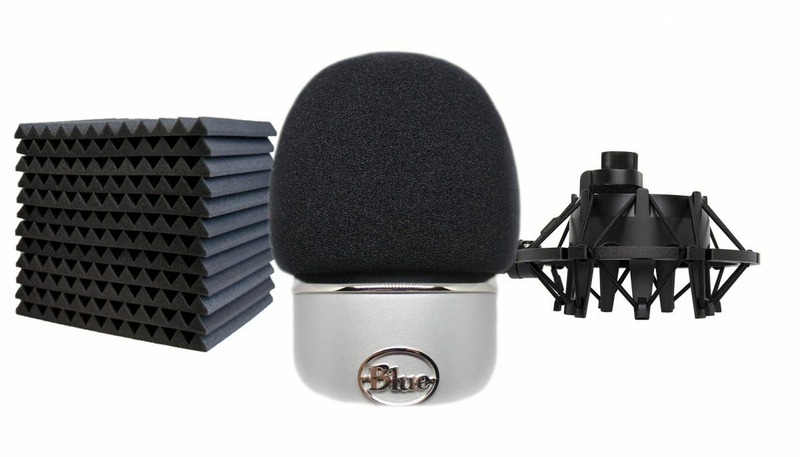 This pop filter for the Blue Yeti will cover up some of the more common audio issues in vocal recordings. The VocalBeat version can be mounted directly onto the Yeti, which is more visually appealing than a slip-on circular filter for streaming video. If the boom arm isn’t enough to dampen vibrations from your keyboard and mouse, you might also want to add a shock mount, which suspends your microphone in a web of bands to keep it from picking up knocks and jolts. This Knox Gear model is made specifically for the plus-sized Yeti, and it’s less than half the price of Blue’s official accessory. Finally, if you find that you’re picking up a lot of echo in from your room’s walls or hard floor, grab a few of these foam sound panels. Stick a dozen or so to the walls immediately surrounding your desk, and you’ll find that the echo is greatly reduced or even eliminated. They’re not exactly fashionable décor, but they come in a few different colors if you’d like to match your paint or wallpaper. The recording gear above should be enough if you’re aiming to stream game video directly from your PC. But what if you’re playing on an Xbox, PlayStation, or Switch console? You’ll need a way to capture the audio and video output from your console’s HDMI port and input it into your PC. 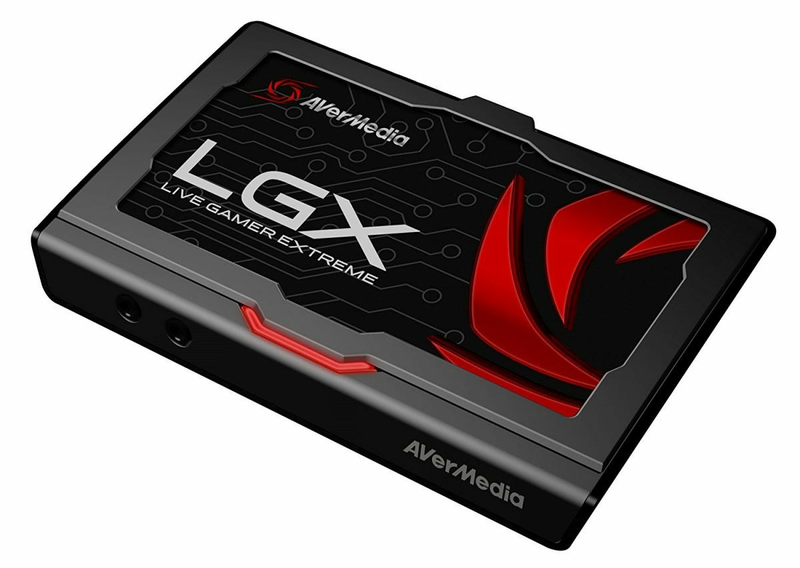 The AVerMedia Live Gamer Extreme does just that, taking in 1080p, 60-frames-per-second video and outputting to your desktop or laptop via a standard USB 3.0 port. The package is compatible with Twitch, YouTube, and Ustream right out of the box, and while it can’t handle the 4K resolution of some newer consoles, it has advanced streamer-focused settings like picture-in-picture and on-the-fly video timeshifting. Since upgrading to a 4K recorder would cost over $100—and most viewers can’t handle a 4K livestream on their monitors or web connections anyway—this is a great place to start. Note that if you’d prefer something integrated into your gaming desktop and installed via a PCI-E port on your motherboard, we recommend the Live Gamer HD 2 capture card from the same manufacturer. A decade or two ago, geeks would tell you, “gaming or laptop—pick one.” But that’s not true anymore. There are some fantastic portable gaming machines out there, some that don’t even weigh half a ton. Here are the best. Nothing quite beats the aroma or taste of freshly baked bread. It’s one of life’s pleasures, so we’ve tracked down the best bread makers to help you bake delicious loaves at home.